Lynn Beckwith from Leeds saw the French bed we had re-covered on our website for Sheffield artist, Trevor Neal and asked if we could re-cover her own recently acquired bed. Lynn chose a beautiful duck egg blue and bronze fabric from Linwood and asked us to individually hand nail the frame with French natural decorative nails…. 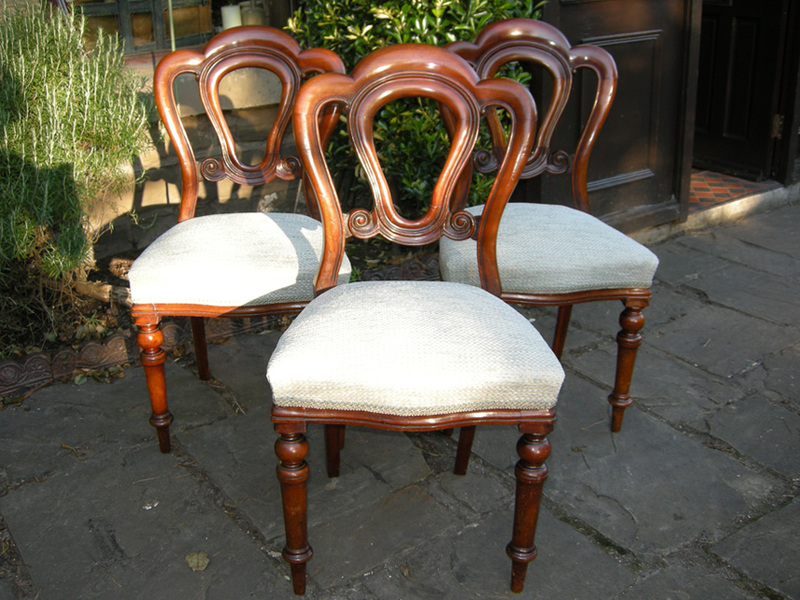 Anne Carrigan from Fulwood, Sheffield asked us to re-upholster an inherited set of beautiful Victorian dining chairs for her in a classic duck egg blue fabric and braid. 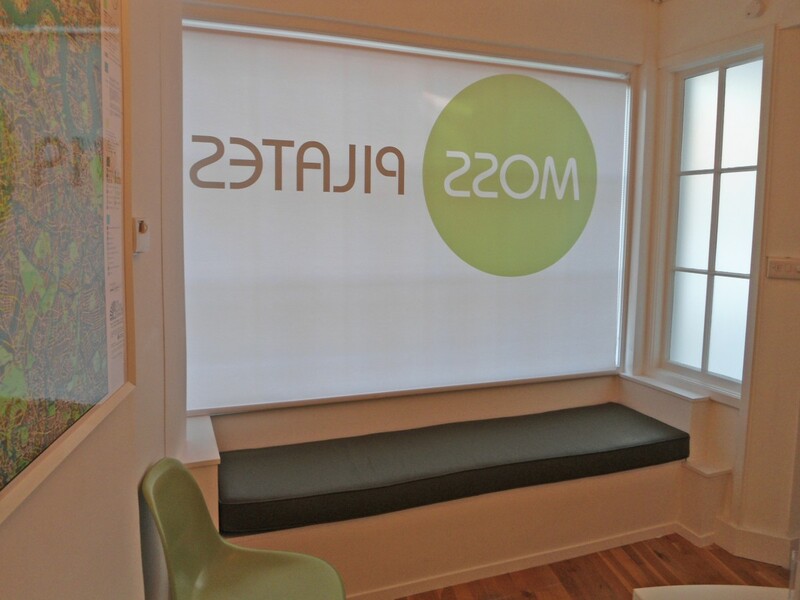 A beautiful yet practical bespoke leather window seat cushion made for Moss Pilates Studio in London by The Unique Seat Company, Sheffield.